Price has been rising since a pullback from 1/8 MM Level happens. Previously a leading diagonal has been formed in wave 1. 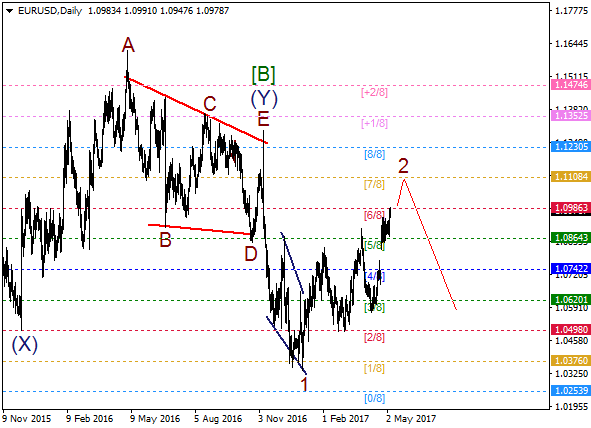 The main target for wave 2 is 7/8 MM Level, which could be a departure point for another bearish impulse wave. As we can see on the four-hours chart, there's a developing double zigzag in wave 2. 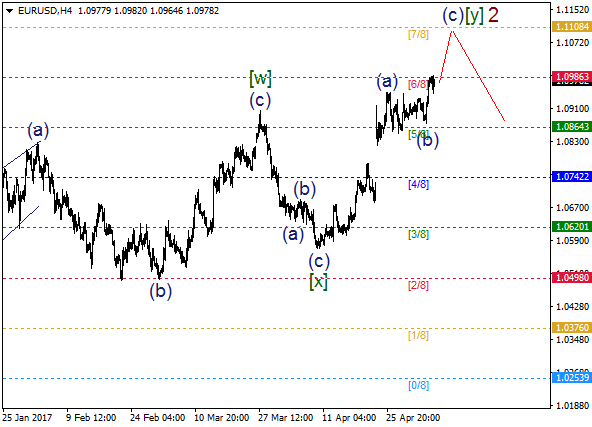 Wave (c) of [y] is likely going to be continued, so we should keep an eye on 7/8 MM Level as the nearest bullish target.